Indulge is pleased to share news of a breakthrough in hair technology called DreamCatchers. These are no ordinary hair extensions. They are made of the finest virgin European Hair so they can be styled, permed and colored. You treat them exactly as you would your own natural hair. Try Dream Catchers hair extension system for length, volume, density, filling in thin hair. You can have blended highlights, one color, dimensional hair color with Dream Catchers. Have your dream fulfilled by finally having the length you’ve always wanted. In two hours you can have hair that looks like you walked out of a magazine! 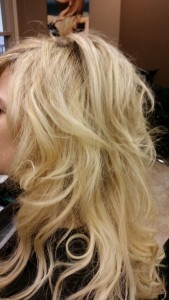 She called our salon in York, Pa needing highlights and her cylinders (clamps) openedand moved up. She was hesitant because she moved into the Hanover area and was looking for a salon to go to that would take good care of her. 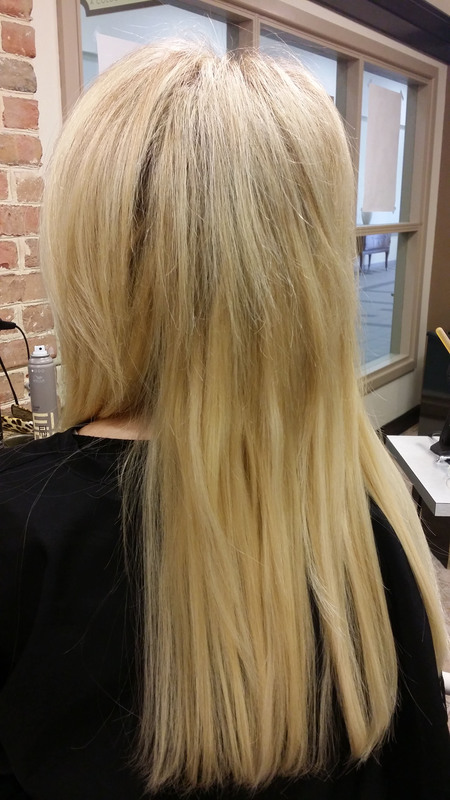 We had a thorough consultation, planned out her the color of her highlights and matched them to her new hair extensions. See her before‘s and after‘s. 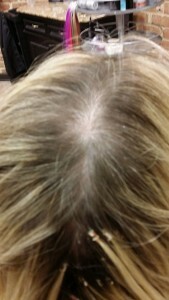 We were thrilled to see the result of her smiling and feeling confident in her longer and thicker hair again. 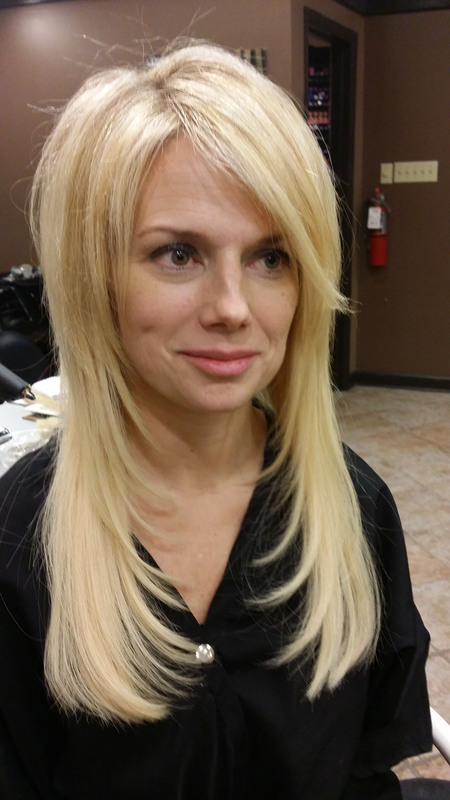 Chasta Strouse performed her highlights and Kimberly Acworth installed and cut her hair extensions complimenting her face shape and lifestyle. What makes DreamCatchers so different from other products? Client AFTER with her Dream Catchers hair extensions! Most hair extension companies de-cuticulize the hair, leaving it coarse and sometimes unmanageable. To ensure DreamCatchers elite quality, the hair cuticles are left intact – giving each strand of hair an incredible silky manageable quality and feel that will truly amaze you. DreamCatchers transforms the appearance of fine, lifeless or short hair into thick, long, beautiful looking hair. 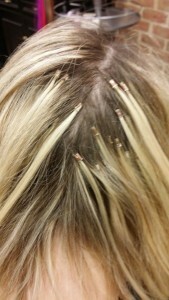 And unlike other hair extension systems, DreamCatchers dos not use damaging glues, waxes, chemicals or weaves. After years of research, DreamCatchers offers the ultimate method of attachment, which protects your own hair from any undue stress or damage. We use a cylinder type “clamp” that encapsulates the hair protecting the hair inside the cylinder. We monitor how we apply the cylinder and its easy on the hair along with the hair being colored with permanent hair color plus we guarantee the color won’t change because we carefully ensure the hair is rinsed properly. We guarantee our work when you have your hair colored at Indulge Salon. Maintenance is easy for you plus reduced costs to maintain your new Dream Catchers hair. You get to keep your hair from visit to visit which means less cost for you to not replace the hair you had previously purchased. All we do is move up your clamps or replace the bad ones. From time to time the clamps may crinkle or break after a long period of time. We expect you to make an appointment every 4 – 6 weeks to have us open your cylinder “clamp” extensions to have them moved up to prevent your hair from breaking. We recommend that you have your hair colored refreshed every time your cylinders are scheduled to be moved up to prevent bands from happening from improper color application. When you have your Dream Catchers hair extensions done at Indulge Salon, we will take the time to explain to you what it takes to maintain your hair color root touch ups, color balances, and highlights to help you make the right decision collaborating the maintenance shedule. All haircolor services such as double processes, highlights, lowlights and root touch ups be done prior to your installation to match the colored hair extensions. 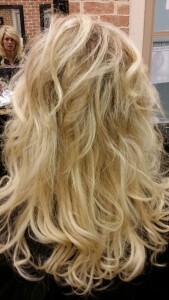 We can color hair extensions but only with a deposit only pigment that will more or less stain the hair without damage. Can be done same day as installation. 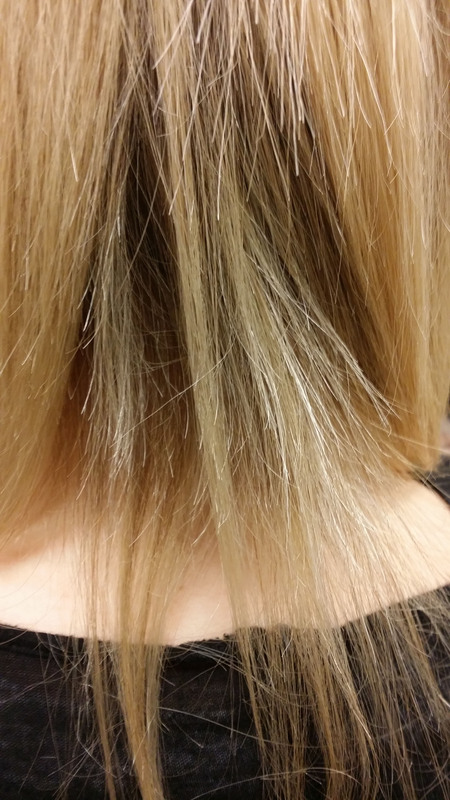 Haircolor is not included with your hair extensions. Creating your perfect hairstyle with the perfect haircut. 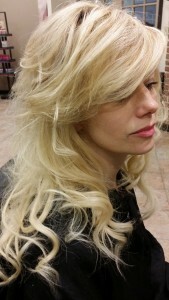 Our stylists will create a strategy to give you volume and length for your fine hair. There are patterns that will be put in place to ensure a natural flow to your hair extensions making them lay naturally when blown straight or curly. Haircuts are not included with hair extensions. We will use the tools that suit the look such as razors, shears, blending shears creating a more natural appearance and making it easier to work with as if you grew it yourself. If the hair is left one length, the shorter hairs can pop out around the base of the hair extensions or looking unnatural. Lifting your clamp maintenace can take about 1 hour to 1.5 hours depending on the length and thickness of your Dream Catchers hair extensions. Indulge Salon extensionists recommend Denman brushes or boar bristle brushes to lightly brush over the hair extensions to prevent knotting. Bamboo large tooth combs are best to comb through preventing catching on clamps. Makes it easier to comb through when wet straight from the shower. Shampooing your Dream Catchers hair extensions require cleaning at minimum 1 – 2 times per week. Shampoo with your preferred shampoo. 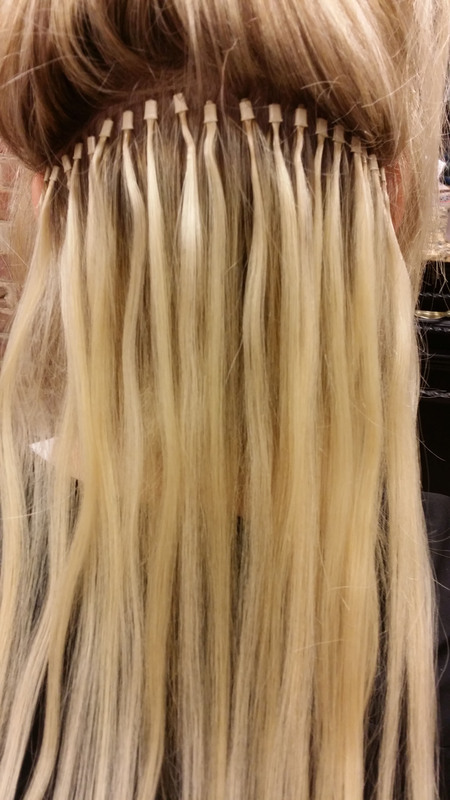 Indulge Salon extensionists will teach you how to move your fingers to prevent tangling. Conditioner should be used on mid lengths and ends not at the scalp or the clamps could loosen up unnecessarily.